On 1 February 2019, the Chittagong Hill Tracts (CHT) Foundation issued an official statement regarding the visit of uniformed police officers to the home of Mr. Krishna R. Chakma’s parents in the Rangamati Hill District of CHT in Bangladesh on 31 January 2019. It was reported that the officers brought a notice from the Prime Minister Office in Dhaka to inquire about Mr. Chakma, co-founder and executive director of the CHT Foundation and a prominent defender of human rights, social justice and peace in the CHT, Mr. Chakma’s place of birth. 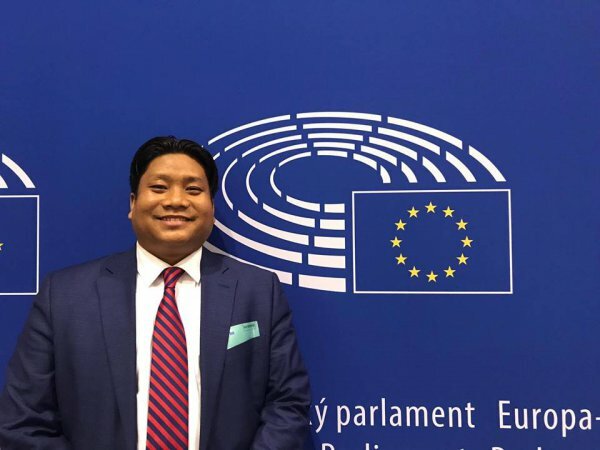 The UNPO denounces the harassment of Mr. Chakma’s family due to his active involvement with human rights, as well as the number of violations and discriminative policies carried out against indigenous peoples in the CHT region. "Official Statement from the CHT Foundation"
On January 31st, 2019 approximately 9.30 AM local time in Bangladesh, two uniform Police Officers along with a notice from Prime Minister Office of Bangladesh have visited our Co-Founder and Executive Director of the CHT Foundation Mr. Krishna R. Chakma's elderly and ill parents home in Rangapani area under Rangamati Hill District of Chittagong Hill Tracts (CHT), Bangladesh. Police Officer Nurul and Police Officer Nijan along with a Council Member of Rangamati entered into home and asked for Mr. Chakma's parents and informed them, they came with a notice from Prime Minister Office in Dhaka to inquiry about Mr. Chakma. Our founder Mr. Krishna R. Chakma criticized non implementation of CHT Accord by the authorities in 21 years, asked for free and fair election in CHT in last Parliamentary Election, and voiced against human rights violations against his native people of CHT and Bangladesh. Mr. Chakma was born in CHT but raised and studied in Sri Lanka and in the United States. Mr. Chakma before founding the CHT Foundation has been worked for various NGOs and INGOs including United Nations as intern back in 2013. The CHT Foundation is registered non profit organization NGO based in New York. The Foundation is working for sustainable development goals (SDGs) agenda 2030 of the United Nations in South and Southeast Asia region. We are non partisan, non profit tax-exempt, and depend on public donation organization. Mr. Chakma is a human rights activist and defender of human rights and social justice and peace. Mr. Chakma or the CHT Foundation does not work for any particular political party or group in CHT and elsewhere. We work with all parties and organizations that are working similar issues such as human rights, social justice and peace, protect and defend democracy values, and rights of ethnic and religious minorities, and rights of indigenous people around the globe. Lastly, we urge authorities in Bangladesh do not intimidate and harass mentally, emotionally, and physically to our Co-Founder Mr. Chakma's elderly and ill parents base on his human rights works with the CHT Foundation and other partner organizations. Respect human rights, human values, and restore democracy without discrimination based on race, religion, color, or ethnicity in the country and CHT region as well. We are deeply concern about our Co-Founder's elderly parents' safety and security in the future. If anyone wants to know about Mr. Chakma and our Foundation's work, please contact us directly without any hesitation. Board of Directors and Team CHT Foundation.